As the title states, this map showcases every known Chicago neighborhood. Over 200 neighborhoods were hand drawn in their exact location. 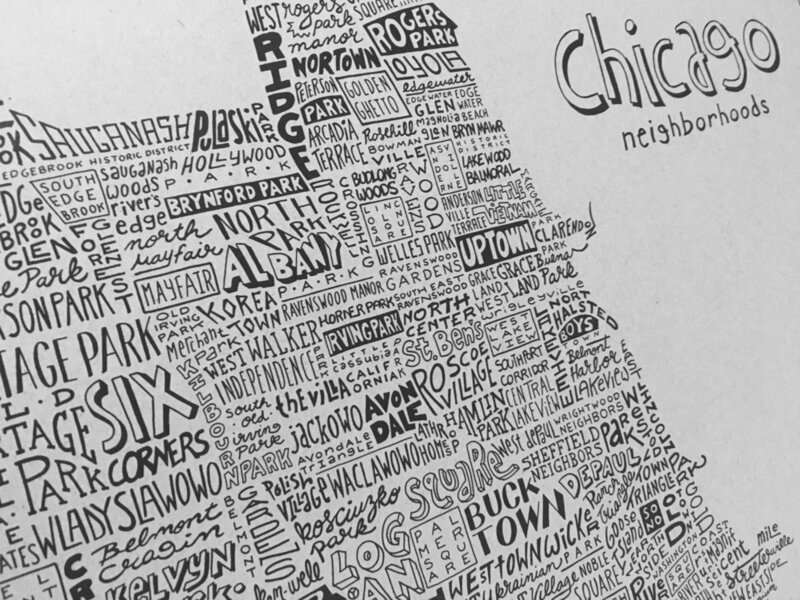 This map pays homage to the uniqueness and diversity of the neighborhoods of Chicago. The limited edition run of 200 signed and numbered prints is sold out. An open edition of this print in black and white is available here for $45.00.